Sweet, tropical and full of flavor, our Mango e Liquid is an exotic flavor twist not like any you’ve ever had before! It is truly one in a million. Mango is bound to surprise your taste buds and refresh your senses. With only one vape you’ll be transported to a breezy island scene, where pure relaxation and total elation eclipse your mind and relax your body. 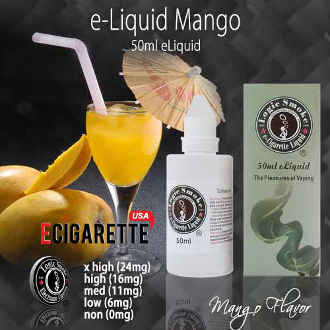 Our Mango e Liquid is like an immediate vacation – one where exotic flavors are beyond compare.